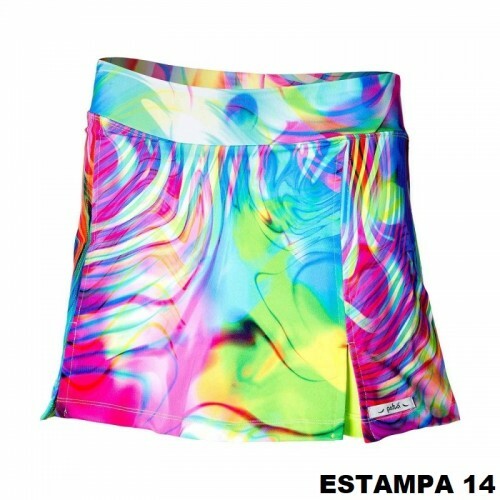 The exclusive Juatinga short-skirt makes the difference when it comes to workout. Its cutting process makes each piece unique and special. 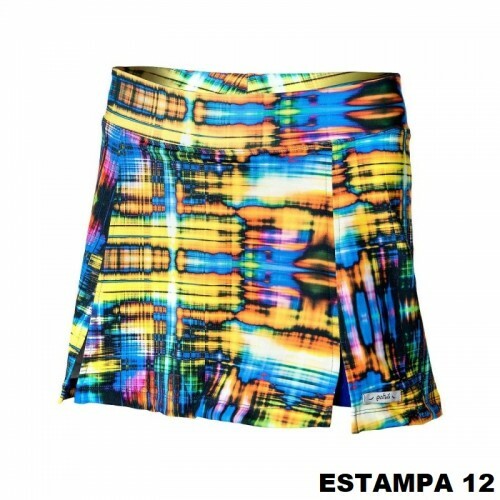 The exclusive Juatinga short-skirt makes the difference when it comes to workout. 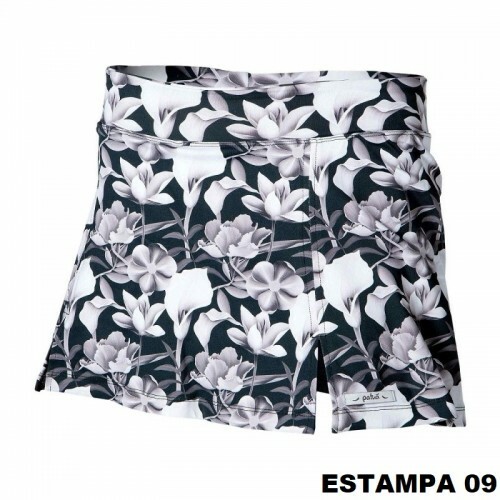 The printed skirt is made of polyamide / elastane, has one-color shorts, two central openings and its belt follows the color tone. Its cutting process makes each piece unique and special.